Waiter Solutions has partnered with one of the biggest merchant account providers in the US. Receive low transaction rates while keeping your customer's data protected with our industry standard practices and security protocols. You'll receive the best possible rate for your business, both at your retail locations and your online stores. We'll even give you free equipment or re-program your current machines and POS system. Low discount rates and transaction fees will save you thousands of dollars per year. 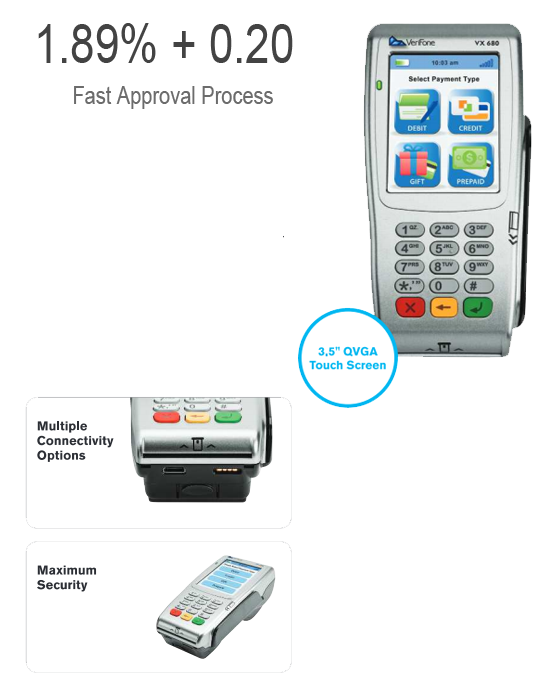 We'll send you a new, PCI compliant, EMV enabled credit card machine at no additional costs to you. Get approved in as little as 24 hours. Previous credit issues? No problem. Send us your most recent merchant account statement and we'll send you a free analysis. We'll outline how much money you could be saving by switching to Waiter Solutions partner merchant services. Save thousands per year! Support is available all day, everyday. You'll be speaking with a knowledgeable group of dedicated support staff. Someone will be in touch with you within 24 to talk about how much money we can save you when using Waiter Solutions. This is just to learn more about you and your business. This is not an application. © Waiter Solutions, LLC 2016. All rights reserved.